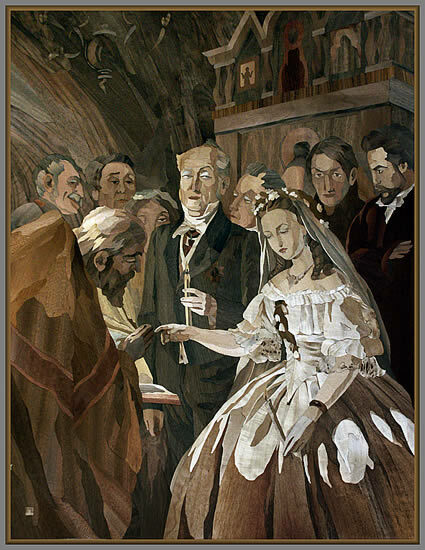 The incredible marquetry pictures you see on this page are the work of Russian Marquetry Artist Vladislav Polushkin. We have always said that there is a long history of fantastic marquetry to be found in Russia; whether it is the abundance of marquetry’s principal medium, the wood itself, or just pure talent alone that provides the background clue to why Russia produces such incredible marquetry, well I’m afraid we have to admit that we just don’t know the answer to that question. But the fact – as evidenced by your eyes, is that the standard of Russian marquetry is beyond reproach – truly first class. Vladislav is looking to exhibit or sell his work in this country. At the moment no arrangements have yet been made or negotiated, so, if you act on behalf of, or own a gallery and would be interested in representing or exhibiting Vladislav’s marquetry work, get in touch with us, and we will put you in touch with Vladislav’s agent/representative so that you can deal directly with each other. 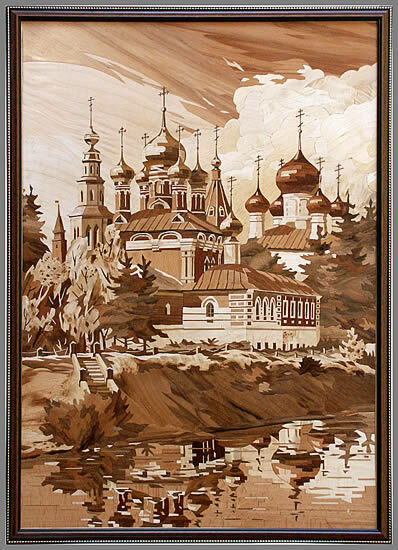 In the meantime, please enjoy the marquetry work of Vladislav Polushkin.